That long-anticipated day has finally come and gone. Your kids looked sharp and neat sporting spiffy backpacks and dressed in their spanking new back-to-school clothing. You watched them board that bus and waved them off from your perch at the bus stop until your arm hurt. Then you breathed a great sigh of relief, grateful that the busy back-to-school shopping season is behind you. Unfortunately, though, the fun is just beginning! While your child may be outfitted for the new school year, you might need some warmer autumn clothing for yourself. And of course, if the leaves are starting to change colors, it can only mean that winter isn't far behind. That brings with it a whole slew of wardrobe necessities and accessories you'll need to purchase, both for yourself and the rest of your family. If the dollar signs dancing before your eyes are starting to look frighteningly large, you can relax! 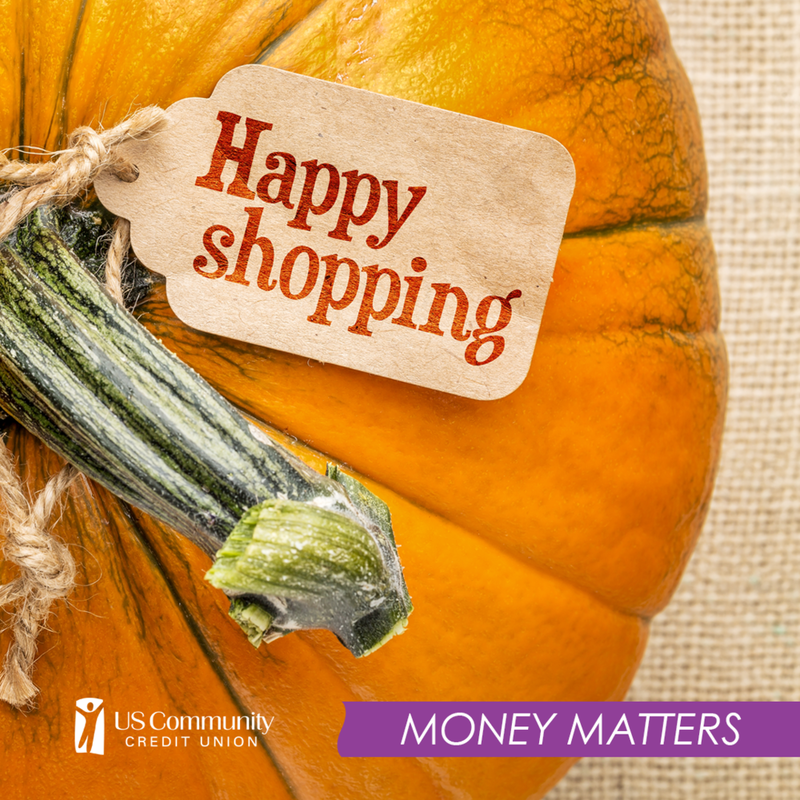 As always, USCCU is here to help you navigate this potentially expensive task and show you creative ways to save, even as you bundle up your family for the fall and winter seasons. Read on for six timely money-saving tips this shopping season. Don't pack away your summer clothing just yet! The temperatures may be dropping, but you can still find many uses for those tank tops and summer dresses; save them for layering up in colder weather. You can stick a long-sleeved T-shirt under a dress and add leggings and boots to make it warmer. If you're a genuine fashion guru and will wear any trend, you can even wear shorts in the winter and stick a pair of leggings or warm tights underneath. You check your pantry before heading to the supermarket; shouldn't you also take stock of your closets before hitting the mall? This is especially important when shopping for a new season. It's easy to forget pieces you've got hidden in the back of your closet or buried deep in a drawer from last winter. Take a careful inventory of what each family member has and what they still need and write it down. This way, you won't come home to find that you already have what you've purchased. Fall has a few observed holidays that bring awesome sales – so take advantage! There's Columbus Day, Veterans Day and then the markdown day of the year, Black Friday. There's also Cyber Monday and Small Business Saturday. It's worth waiting for the next holiday to buy what you need. You'll save a lot just by being patient! Online shopping can be significantly cheaper than retail stores – until you need to chalk up $6.99 for shipping, that is. Beat the system by looking for free shipping on sites like Freeshipping.com, or by taking advantage of the free in-store pickup available at many retailers. Many stores also offer coupons to first-time online shoppers. If you've already shopped a store online, you can sign in using another email address and still snag the deal. Even if you prefer live shopping and like to try on your clothing before you buy, it pays to check out a store's online inventory before going to the brick and mortar shop. This way, you'll know what they have and what you like instead of wasting time browsing racks and finding the perfect top with the perfect price several hours later. There's a season for every purchase. If you wait until a specific item goes on sale, you'll save big. For example, jeans always get marked down in October and last winter's boots will show up on the sales racks at the end of September. It's worth it to wait until these times to buy these items. Also, winter coats hit the sales racks as soon as Christmas is over. Depending on the climate in your area, you may be able to hold off on buying a coat until after the holidays to await a super deal. Alternatively, if your old coat is in fairly good condition but you'd like a more updated look, consider making do with last year's coat for now, and buying a new one when they go on sale. Stores that specialize in deeply discounted merchandise, like DSW, T.J. Maxx, and Marshalls, can be a terrific source for name brand clothing at generic prices. You may have to sift through rows of racks until you land a real bargain, but it'll be well worth your time. These stores are especially beneficial for stocking up on basics. On a similar note, be sure to check out secondhand stores and sites like Overstock.com for incredible deals on stuff you need. Don't break the budget this shopping season. With a bit of planning and strategic shopping, you can outfit your family for warmer weather. Your Turn: What's your favorite way to save money when shopping for clothing? Share it with us in the comments on Facebook!